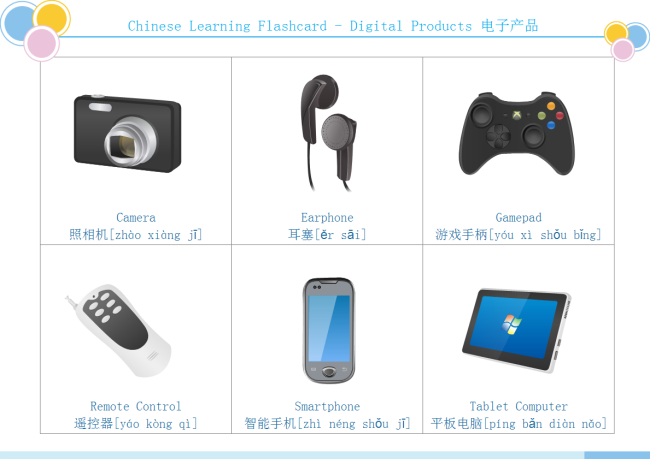 Description: Learn both English and Chinese vocabulary about digital products in a visual and vivid flashcard. Flashcard is an effective aid in vocabulary learning. You can design more similar materials with our advanced flashcard maker.